Visit The Pin Man, www.positivepins.com, for all of your promotional product needs. We can put your organization, event, school or company name and logo on over 70,000 products such as pins, hats, pens, bags, shirts, cups, pencils, mugs,notepads, magnets etc. 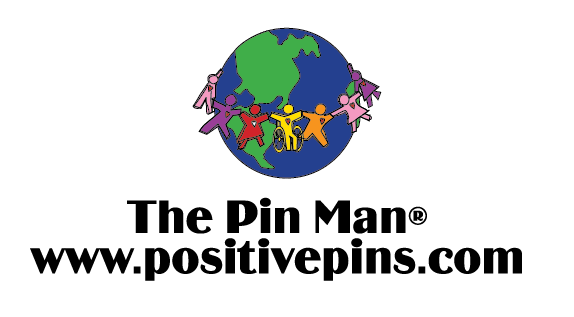 Please contact us to quote your items at 800-282-0085, pnlady@aol.com or www.positivepins.com. We would love to assist you in branding your company, celebrating your reunion, honoring your volunteers, rewarding your employees or welcoming your new members. We hope to work with you soon! !